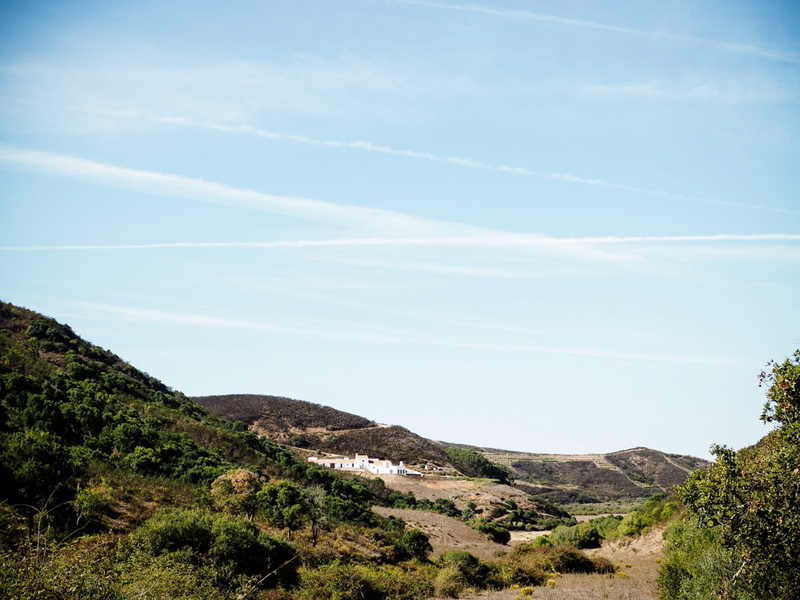 Around the camp — Tipi Valley is an ecological surf and yoga retreat in the western Algarve, Portugal. Everything in Tipi Valley is designed to have minimal impact on the natural environment. The entire retreat runs on low-power solar energy, we also have solar-heated outdoor showers and ecological flushing toilets. Dining is communal and alfresco around a large wooden table. Our outdoor yoga space, which overlooks the valley, can accommodate up to 15 people. Tents are close to the communal areas but still private. There are hammock areas and chill-out zones around the camp as well as abundant fruit trees and veggie gardens. Above all, the camp is simple and tastefully rustic, with a focus on aesthetics and tranquility and has been designed to maximise space and views. We are situated near the beach so you’ll be able to hear the sound of the ocean and smell the salt air off the Atlantic Ocean. There are plenty of bushwalking and nature trails from the camp itself allowing you to explore the camp’s incredible natural setting.